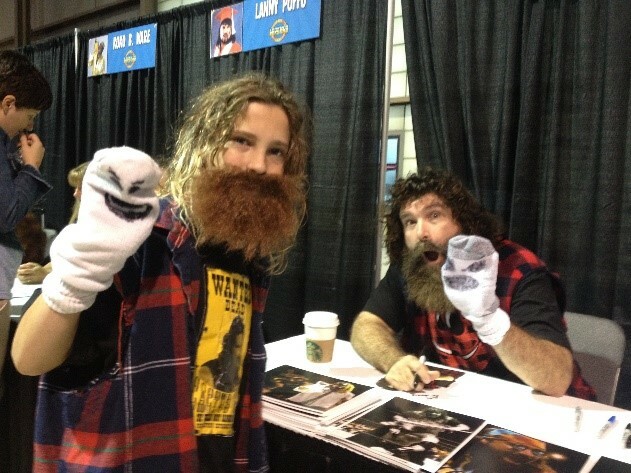 WWE legend and Hall of Fame inductee Mick Foley made a special appearance for the Iowa Energy’s Pro Wrestling Night on March 25, 2017. 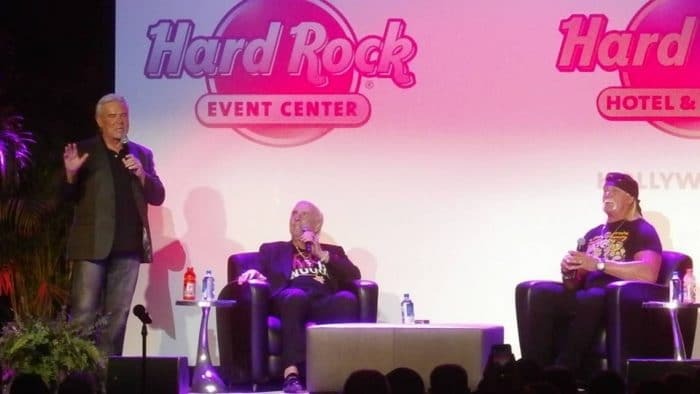 During Pro Wrestling Night, fans were treated to a lively Q&A with the wrestling legend, and they also had the opportunity to meet Foley before the game, get a picture and have anitem autographed by the iconic wrestler. Foley began his professional wrestling career in 1986 and has since been recognized as one of the most iconic figures in World Wrestling Federation (WWF) history. The three-time WWF champion performed under four alter egos during his career: Cactus Jack, Jack Foley, Dude Love and Mankind. He also wrestled under his birth name, Mick Foley. Since retirement from professional wrestling, Foley has entered new career paths including: author, comedian and actor. In 1999, Foley penned his own memoir, “Have a Nice Day,” which hit number one on the New York Times best-seller list in October, 1999, where it remained for 26 weeks. Foley has written a total of ten books, including four memoirs, four children’s books and two novels. A limited number of VIP Meet and Greet tickets (100) are available for purchase for $100. Each package includes: admission for one to the Meet and Greet on Saturday, March 25 from 5:30 p.m. to 6:30 p.m., an opportunity for a picture and autograph, participation in a general Q&A session with other VIP purchasers and a ticket to the Iowa Energy game to follow.